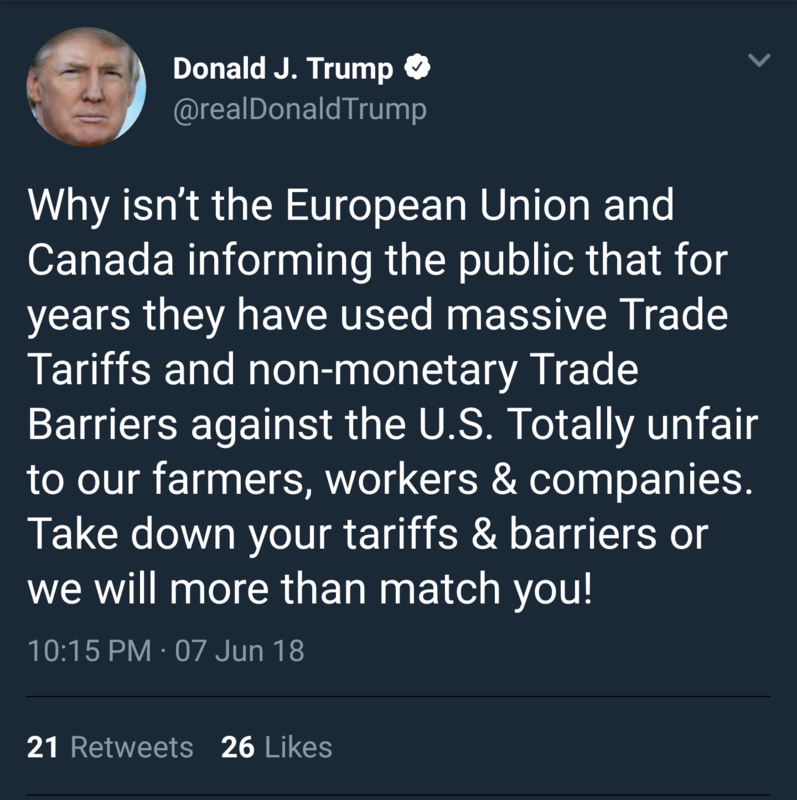 Trump absolutely savages Canada & the EU on Twitter! Fun fact: every nation in the world needs access to US markets far more than we need their goods and services. That’s why we should never agree to multilateral trade deals. Doing business with the US is a privilege!